Walmart has rolled back the price on select Fancy Nancy toys. The sale includes dolls, stuffed animals, dress up and pretend items and more. Fancy Nancy costumes are on sale for just $4.99, down from $14.88. 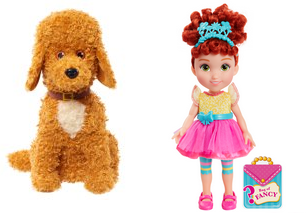 Fancy Nancy figures are just $5.99, down from $14.88.